Malaysia, 30 November – Epson has announced the release of its latest version of smart glasses, the Moverio BT-35E. The new BT-35E smart glasses is designed to be easily used in combination with existing hardware through HDMI and USB-C connectivity at almost zero latency, enhancing its connectivity for commercial applications. With this, Epson’s optical expertise can be effectively deployed in healthcare, commercial drone piloting, engineering, entertainment and more. 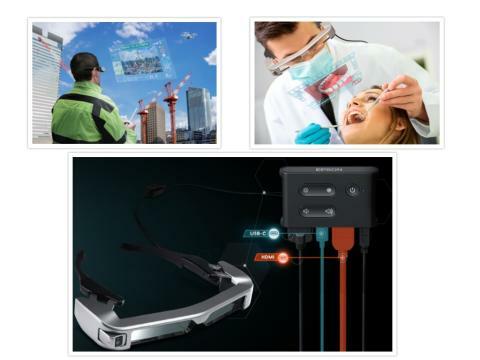 Based on Epson’s patented optical and precision technologies and keeping to its predecessor’s design, the BT-35E augmented reality eyewear delivers vivid HD image quality and is Epson’s first smart glasses with an external Android-based controller unit for external connectivity. The new smart glasses aim to provide users greater access to content on a wearable display through existing output devices and comes with an Android-based controller unit. “Developed from customer insights, these hands-free Si-OLED-powered binocular see-through smart glasses deliver content at low latency from a range of devices using HDMI or USB-C connectivity. Offering an easy out-of-box experience, the Moverio BT-35E smart glasses provide easy plug-and-play operation with no special software required. With the Moverio BT-35E, we aim to bring our optical expertise to commercial sectors such as healthcare users and commercial drone pilots that can utilise them as a see-through display for their existing hardware,” said Danny Lee, Director, Sales and Marketing, Epson Malaysia. Epson’s focus on a wide range of commercial applications distinguishes the Moverio range from other smart glasses on the market. Developed with function at the forefront, the range has proved popular with business customers and independent software vendors (ISVs).